As our school's first time to participate in iGEM, many school mates are still not familiar with iGEM and synthetic biology. In order to introduce iGEM to more people, we decided to raise a Campus Event about iGEM and synthetic biology. After series of discussion, we held this event at the beginning of this semester. We showed some works of iGEM in recent years, and the application of synthetic biology in varied fields. Most of all, we introduced the project of ours in this year. In order to attract more students to take part in our event, we cultivated special E.coli which is different from others, because it can express so much fluorescent protein that we can see its color without fluorescent microscope. The following pictures just show the special E.coli, they are so beautiful, do you think so? In addition, we went to Jinling High School, which is a very famous and excellent high school in NanJing, to show them our experiment and explain what is iGEM and synthetic biology. Through the exhibition, we hoped to attract Chinese high school students to join in the iGEM's big family and enjoy the wonderful world of synthetic biology. As a result, many of them expressed that iGEM was a good chance for them to prepare themselves for the future study, especially for the students who wanted to study something related with biology in the future. If possible, they wanted to have a try. What' more, we were also invited to attend this year's science festival for students in Nan Jing, which would be hosted by CPU (China Pharmaceutical University)on 18th, Octuber. At beginning, to search for more ideas for our team's project, we held a simulate iGEM. The competition was divided overall program design and three special games (mathematical modeling, biological experiments, web design). All teams must participate in the overall program design, in addition to select from at least one of the three special contest. At first, our team orgnized a simulate iGEM teach-in .NJU associate professor and doctoral tutor Chen Xi, NJU chairman of student union of Life Sciences College Zhou Yu were invited. They were invited to introduce the meaning of synthetic biology and iGEM. From their speech, we learned that competition and problems in the formation of an iGEM team also should be noted. 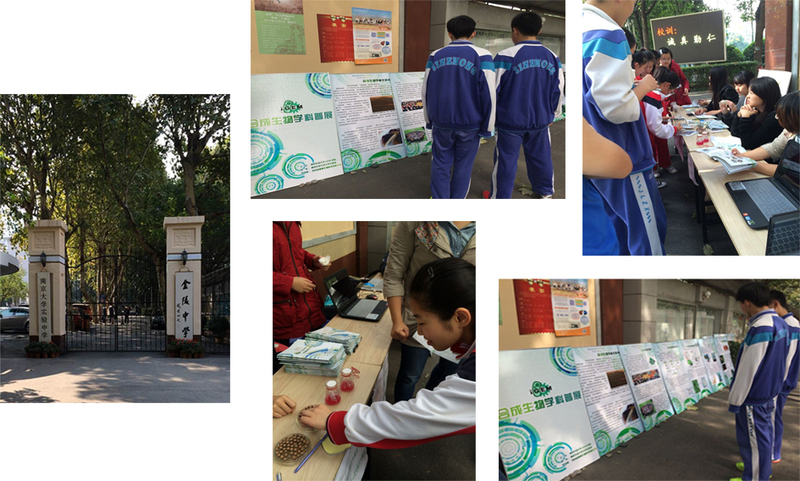 The competition selected excellent students into the school to participate in NJAU_China team. By participating in an international tournament, making the race organizers have a better understanding, and tryouts for the next campus provide a richer experience. Simultaneously, students selected this competition can provide technical and theoretical support for international events for next year.